This week I am thrilled to introduce you to another set of contributor newbies. And yep, you read that correctly. I did type out set. As in the perfect duo of DIY gal pals. 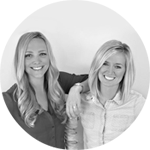 Say hello to Bridget and Casey, the fabulous blogging pair behind The DIY Playbook. Bridget and Casey's projects have been spotted multiple times here on iHeart, so it was only natural for them to join the team! 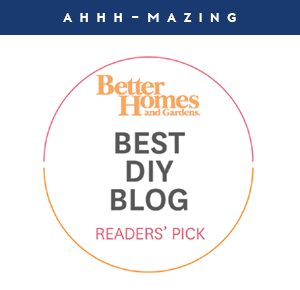 I love their energy, style and passion for home blogging. 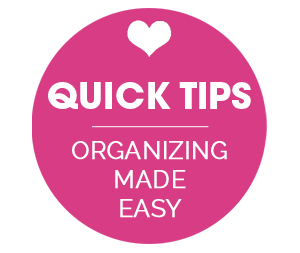 Which includes sharing organizational tips! 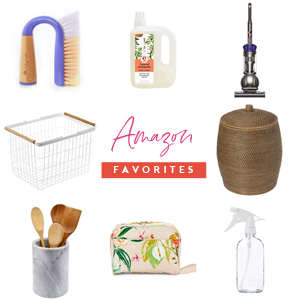 I especially appreciated their recent post on staying organized in a small home. They are here today to share their tips for organizing their photography equipment. And I spy the cutest camera bag around... here they are now! We are definite photography rookies and are totally learning as we go, usually having little to no clue what we're actually doing, but we really do enjoy the photography part of blogging. Taking photos for the blog is a challenge (to say the least); it’s actually a lot of work (way more than we ever anticipated), but we really LOVE it and we love chasing that “perfect” shot. However, the one thing we do NOT love about our photo adventures is the disorganized MESS that our photography stuff usually is. We are here to help guide you in finally organizing all of those camera trinkets so you can stop worrying about finding that you need and start focusing on getting that perfect shot! To begin, I dumped out the contents of my previous camera storage and was surprised at some of the stuff I found that I had no idea I still had! Look at this mess.... cords, USBs, lens caps, batteries, extra batteries, the charger, the camera's receipt, business cards, the camera manual, a warranty... why can't I ever seem to find these treasures when I need them?! Although I was glad I finally found some of these valuable items, I realized that I did not need to lug all of these camera accessories around with me as I traveled with my camera. The first thing I did was sorted these accessories into two piles. One pile consisted of the items that I needed to store in my new camera bag because they were essentials in day-to-day photography. The next pile was all of the stuff that was important but was not necessary to carry around on an everyday basis (like the receipts, software, warranties, etc). Sorting these items immediately cut down on the clutter and made organizing my camera accessories a lot more manageable. The extra "stuff" that I didn't need to carry around with me went in a a labeled box that I put in my desk. Now, all I had to do was organize the remaining photography essentials in a way that I could quickly grab 'em & go! That's where an effective camera bag came into the picture. I received this camera bag for Christmas (I actually added it to my Christmas list after Jen recommended it here on iHeart Organizing!). This one has plenty of storage and stays organized because it offers such specific compartments and zippered pouches- but any bag with lots of compartments will do the trick! Each item that was left in my pile was given a specific place in the camera bag to call "home". 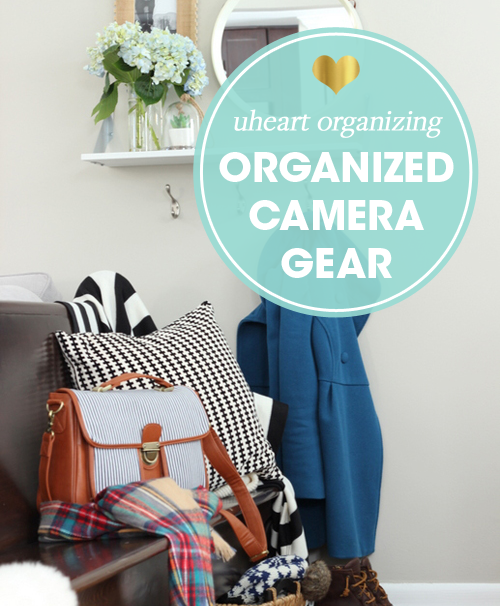 Giving each camera essential a specific place to live will help me keep the bag organized.... even when I'm in a rush! Within the bag, I kept the USB cord in its own compartment so that it won't get tangled with other items in the bag. However, if you have more than one cord in any of the compartments or if you want to keep those cords from knotting and becoming a hot-mess, we highly recommend this easy, super affordable method. 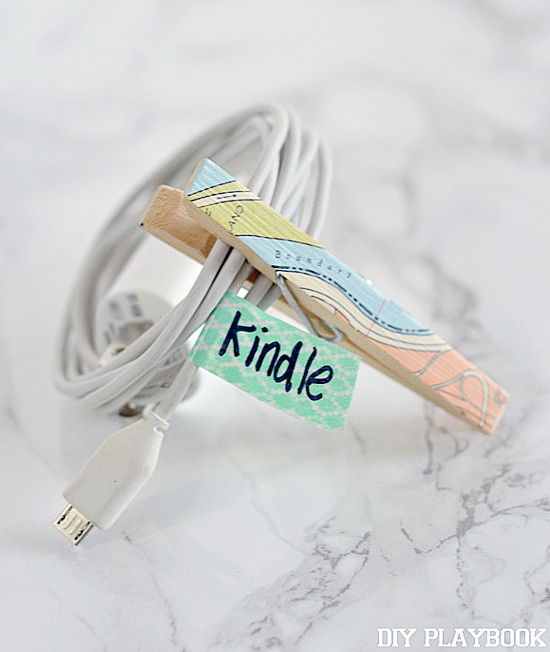 Cord + Clothes Pin = Cords will never tangle again... we promise! Compartments are key when organizing your camera bag (or really any bag for that matter!). The thing we love about this specific bag is that the compartment size is up to you and can be easily changed as your camera needs change. With these velcro inserts, you are able to create the size/amount of compartments that fit your priorities. The bag came with three velcro inserts, I ended up only needing two, which created three equal parts in the bag. The neatly separated three-part space allowed me to store while also identifying exactly where everything should return to after being used. Now if we could figure out how to do this with our purses! But my work was not done just yet. Usually when I take my camera bag out and about, I hate to have to lug around a purse too. ....Holy bag lady! Because I still had some unused compartments in my bag, I was able to consolidate a few of my purse must-haves into the camera bag's extra compartments. I add my wallet and a few snacks into the bag because hangry isn't a good look on anyone. Since my camera accessories are now finally consolidated and organized, I can stop worrying about finding my equipment and start focusing on getting some beautiful shots. 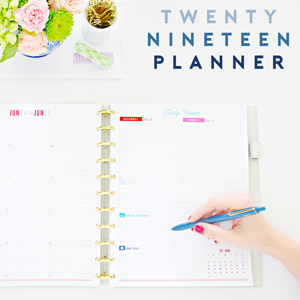 I LOVE DIY Playbook & am so excited you've added them to the team! My friend has this exact bag!! Too funny!! I love that camera bag - too cute! It is nice that the bag is so roomy - as you become more advanced or shall we say, enthusiastic about photography - the amount of equipment tends to grow. Keeping it organized is important so that you never miss that perfect shot. Great post and advice! I may have to invest it that adorable camera bag! Hahahaha we totally get it! That was definitely us before buying this bag. I'm always reorganizing my electronic equipment. It doesn't take long for it to get messy again. I love the clothespin trick. Although I have a very specific system, it's not cute. This is adorable. I am laughing at myself, I saw the third to last picture and thought "I don't ever remember that bench in any of Jen's pics"....I missed the Uheart part! LOL It's definitely time for me to utilize these tips! LOVE the bag! Best Compliment Everrr!! Thanks so much Heather, to be confused with Jen is such an honor!!! Aww I bought that camera bag for my mom for Christmas! I have a different bag from them for myself! Does your camera connect directly to the USB port? Just a FYI, you shouldn't carry your hard drive around with you. If the camera gets lost, broken or stolen, it can be replaced. The contents of your hard drive on the other hand, can not. I would love to see a REAL post on organizing photo gear. I am sorry to hear that Jace! 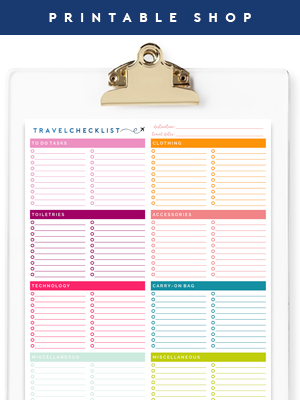 I agree that this may not work for everyone, especially a full time photographer with an abundance of equipment, however, I also use this system to organize and store my photography items and it has worked like a charm. The bag allows everything to be protected, organized within compartments, offers adjustable padded inserts to fit specific needs... and hangs on a hook in-between uses, while the remainder of the items are tucked away in a box. Sometimes products are purchased and recommended as storage, as this bag was for this post. There were no affiliate links used. I would be happy to see if I can work with a professional photographer to put together a post on organizing additional equipment types if you would find that to be helpful. I have many photography friends that this would be PERFECT for! Thank you for sharing, and I will be sure to pass it on! I'm going to pin this to my Pinterest board to show them! Great organization, girls. I recommend ditching the clothes pin and replacing it with a binder clip of appropriate size, or perhaps a pinch-type hair clip. You want something that will close "around" the cords, but not pinch them. Clothes pins run the risk of pinching the wires inside the cords. Rather than say "pinch-type" hair clips, perhaps "butterfly" clips would be a better description. Love the camera bag and the blue pea coat! Where is the coat from?? Oh my god!! Where were these camera bags when I got my huge, ugly bulky one? !